Capture the true spirit of Christmas with this 32in wreath. This traditional style wreath is highlighted with large red poinsettias. 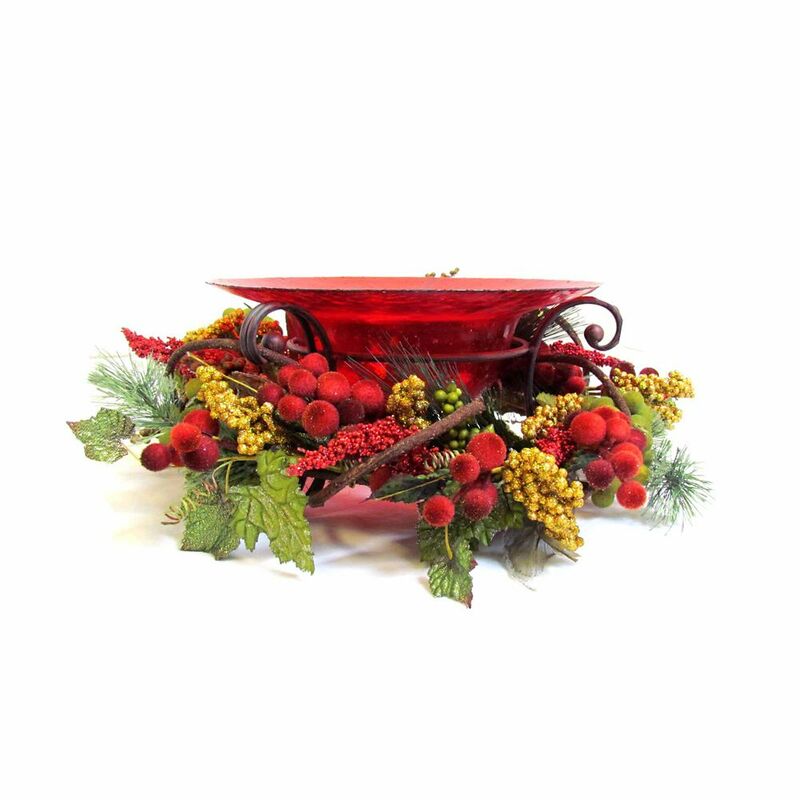 It is also adorned with beautiful glitter leaves, pinecones, red ornaments, and berries. This wreath would be a great addition to your holiday decor. Brighten up your Holidays with this attractive lighted Christmas Wreath. Made with sturdy wire construction and covered with high quality material for a colorful and attractive decorative item. The LED lights are CUL approved.